Join LPB at this year’s San Diego Latino Film Festival. Taking place March 10 – 20, 2016, the San Diego Latino Film Festival will celebrate its 23rd anniversary with the screening of East of Salinas and No Mas Bebes. Please see below for screening times. The San Diego Latino Film Festival hosts guest filmmakers’ appearances, workshops, live music, art exhibitions and gala celebrations. It introduces San Diego audiences to contemporary U.S-Latino and Latin American cinema that is otherwise unavailable. The San Diego Latino Film Festival is presented yearly by MEDIA ARTS CENTER SAN DIEGO. For the complete film schedule, please visit sdlatinofilmfestival.com. 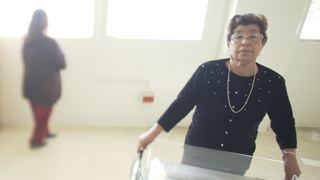 Produced and directed by Virginia Espino and Renee Tajima-Peña, this film follows the shocking story of Mexican immigrant mothers who were sterilized while giving birth at Los Angeles County-USC Medical Center during the late 1960s and early 1970s. Marginalized and fearful, many of these mothers spoke no English, and charged that they had been coerced into tubal ligation – having their tubes tied – by doctors during the late stages of labor. Set against a debate over the impact of Latino immigration and overpopulation, and the birth of a movement for Chicana rights and reproductive choice, No Mas Bebes revisits a powerful story that still resonates today. No Mas Bebes is a co-production of Renee Tajima-Peña and Virginia Espino of Moon Canyon Films, and ITVS, in association with Latino Public Broadcasting, with funding provided by the Corporation for Public Broadcasting and Chicken & Egg Pictures. East of Salinas follows the life of Jose Ansaldo, the bright son of migrants who dreams of a life beyond the fields and dangerous streets of Salinas, CA. With little support at home, he turns to his teacher, Oscar Ramos, who like Jose was born the son of migrant farm workers, and who inspires him to imagine a life beyond the fields. But Jose is undocumented; he was born in Mexico. Like many other migrant children, he is beginning to understand the situation – and the opportunities that may be lost to him through no fault of his own. East of Salinas is a co-production of Rock Salt Creative, LCC and ITVS, produced in association with Latino Public Broadcasting. LPB will be hosting ‘Get Your Project on PBS – Pitch Session’ at the San Diego Latino Film Festival on Saturday, March 19, 2016, between 10AM-12:30PM. Thinking about submitting your proposal to LPB’s Public Content Media Fund, partnering with a local PBS station or want feedback from funders and filmmakers? Come and pitch your idea to us! Screen a trailer and get feedback before submitting it anywhere.